Could Remote-Controlled Cyborg Insects Be Used As Spies? Forget micro camera systems, insanely-compact audio surveillance devices and night-vision goggles – scientists at the Massachusetts Institute of Technology are currently researching a probe that can be implanted into moths to control their flight, alluding to the possibility of insects being used in the future as spies. Though it's the US Defense Advanced Research Projects Agency (DARPA) that has invested heavily in a programme to develop 'machine-insect interfaces' for years, Joel Voldman and colleagues of MIT have collaborated to design a unique, flexible neural probe that attaches directly to an insect's ventral nerve cord (VNC) which, alongside the brain, makes up the central nervous system. The probe, made of polyimide polymer coated with gold and carbon nanotubes, is said to attach itself around the VNC and stimulate the nerves within the ventral nerve cord with five separate electrodes. 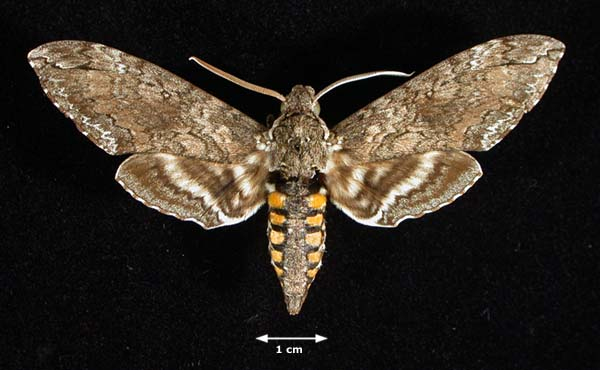 Weighing in at just half a gram (impossibly minute when you take into account the probe also contains a radio receiver, a battery and a device to generate electrical pulses), the team implanted the probe into the abdomen of a tobacco hawkmoth and found that through stimulating either side of the VNC, the tethered moths (part-moth, part-machine) would respond by turning the corresponding way. The degree of the turn could also be managed depending on the strength of the current, which ranged from around 1 to 10 microamperes. The team also implanted the device in untethered moths and sent directional command remotely. The moths responded by turning left or right whenever the appropriate signal was issued. Much like our story last week relating to the University of California researchers who have developed a technique to literally 'read' human thoughts, MIT's probe has the potential to be used on humans in order to improve the patient's quality of life. While the University of California's method of interpreting brain waves as actual words could be used to give a voice to those unable to speak, the VNC probe could be used to stimulate nerve bundles to help rehabilitate those who have lost mobility after a stroke. DARPA, meanwhile, has not shied away from hoping such remote-controlled insects could be one day be used by intelligence agencies to spy on unsuspecting enemies. It brings an all-new meaning to the term 'surveillance bugs' that's for sure.